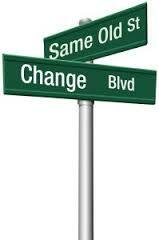 Change means to alter, revise, or redirect. It also means to reconsider. To change current human behavior, a person must unlearn or discard current information to ascertain brand new information. To accomplish this, there must be exposure to new environments. The most important factors for this to be successful are a willingness and determination for this process to work. Those of us that have ever taken an interest in Psychology are familiar with one of the most common theories, which is, “operant conditioning”. This process was coined by B.F. Skinner, a behaviorist that determined that behavior can be modified with rewards and punishment. As a behaviorist, Skinner believed that internal thoughts and motivations could not be used to explain behavior. Instead, he suggested, we should look only at the external, observable causes of human behavior. Skinner used the term operant to refer to any "active behavior that operates upon the environment to generate consequences" (1953). In other words, Skinner's theory explained how we acquire the range of learned behaviors we exhibit each and every day. Skinner further explained that we can find examples of operant conditioning all around us. When children complete homework, they are promised a reward from their parents or a good grade from a teacher. If a project is done at work, a person can expect praise, a promotion, or some type of bonus. In these examples, the promise of a reward potentially increases the positive behavior. This technique can also be used to decrease negative behavior. When the possibility for a negative outcome or punishment is present a person may modify or decrease negative patterns and behaviors. This process is extremely important throughout our entire lives. In interpersonal relationships both parties exhibit certain behaviors. Many times someone may do something that might be considered negative, such as cheating, refusing to communicate, refusing to cooperate, not considering the other person’s needs, and allowing distractions such as cell phones, and other technological devices to take priority over the relationship. Unfortunately, when a person makes excuses for this type of behavior and there is no type of permanent punishment or penalty, the behavior will continue or even increase. The person is not just going to decide on their own to change their actions. 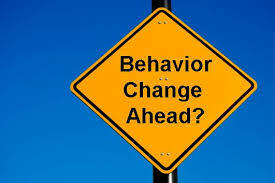 If we look at the operant conditioning theory we remember that motivation for behavior is external and observable. Behavior is not caused by internal thoughts. As humans, we need an incentive to change. Even if something is detrimental to us in the long run, if the consequences have yet to present themselves, why change the behavior? This is why, in my opinion, the criminal justice system has done a great disservice to our community when it comes to repeat offenders. If someone knows that their behavior will generate a type if “slap on the wrist” punishment for the crimes committed, they will continue to do the same thing over and over again because in their mind the reward is more satisfying than the punishment is damaging. When someone is released from the penal system, there needs to be an extensive behavior modification program along with a process of adaptation skills to be able to exist in the world and be successful. Actually, there needs to be a mandatory program set up as soon as someone is incarcerated. If this same person ends up in front of a judge again, the punishment should be more severe. I don’t understand how a person can be on probation for the same crime or a similar crime more than 2 times. This just proves that we possess the skill of adaptation. Meaning, we learn how to fly under the radar for a period of time to deflect attention from ourselves. This is one of the great survival skills of humans. Many times we adapt in relationships, jobs, and other areas of life. Usually when a particular time frame is given to modify a behavior, a person will do just enough to “get by” and remain neutral so that someone else believes that their behavior has changed. Unfortunately, that is not true in most cases. As humans we realize that probation is temporary so we do what is necessary or at least we appear to do it until the probationary period ends. In other words, most people don’t really change a negative behavior until there is a definite consequence and we lose (for good) the things that ultimately matter the most to us. When we find ourselves having the same conversations several times with someone about why they do or don't do certain things, we must realize that they do them or they don't do them because they want to or they don't and the outcome has been favorable. Your desire for someone to be different is not an incentive for them to change. It’s nothing more than a sentence of probation that you will have to impose several times until you decide to change, stop talking, and let them figure it out. Unfortunately, sometimes, letting a person fall by the waist side is the only recourse to provoke a favorable outcome. Being an enabler or a rescue ranger is just as detrimental to someone as playing around with a loaded gun. 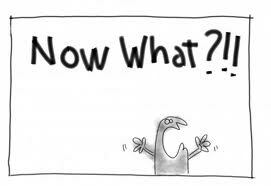 If a person is never made to take responsibility for their actions, again I ask, why then should he or she change? Proverbs 18:15- An intelligent heart acquires knowledge, and the ear of the wise seeks knowledge.